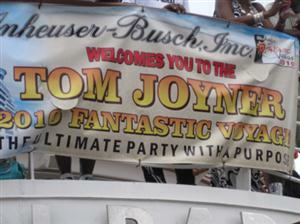 The 20th Annual Tom Joyner Fantastic Voyage Cruise. The only True Party with a purposes. 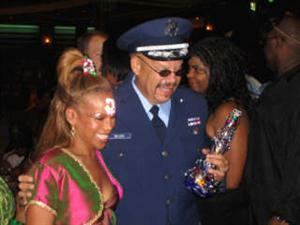 Radio personality Tom Joyner host a yearly cruise called the Fantastic Voyage Cruise or the Party with a Purpose. The Purpose being to raise money for Historically Black Colleges. It is the Best Black Cruise of the year period. You will find A List celebrities, concerts, late night jam sessions, comedy shows featuring some of the funniest comedian in the industry, friendly people, tons of activities every day, all you can eat food, and a beautiful decorated ship. Tom Joyner and the Sponsors go all out for this event, and it's is truly one of the best events on the planet. In one week you will get more entertainment them most people get in 2 years. Estimate Prices: Range from around $2,130 per person for a 5 person Cabin up to around $8,690 for a Single Luxury Suite. A Passport! "Required to Enter San Juan, and Nassau"
Hotel Room in Miami Beach for the Night before and after "optional"
Cabin: To Book your Cabin Call 972-980-SAIL (7245) "Lock in Cabin for $500.00"
Recent Black Tom Joyner Cruise News!! Foxy Brown Kicked Off 2011 Cruise!